Books I’ve enjoyed this year (some published in previous years) include ‘This is Going to Hurt’ by Adam Kay. I wrote a bit about it here. While looking for texts to help me in my new job as an associate lecturer in creative writing, I found the textbook ‘Reading Poetry’ (Longman, 2nd edition, 2007) by Furniss and Bath to be very useful. ‘Ordinary Genius’ by Kim Addonizio (Norton, 2009) has some good workshop ideas in it. Generally, I’ve found the books I’ve seen that are related to creative writing to be disappointing. I still dip into Peter Sansom’s ‘Writing Poems’ (Bloodaxe, 1994), the first book of its type I’d ever encountered. While on holiday in Northumberland this summer I picked up and enjoyed Stuart Maconie’s ‘Pies and Prejudice: In Search of the North. ( Ebury Press, 2007) so am looking forward to ‘The Long Road from Jarrow’ (2017) which is on my ‘to read’ pile. In poetry, I was impressed by Martin Malone’s ‘Mr. Willett’ s Summertime’ (Poetry Saltzburg) and wrote a review for The High Window which you can read here . 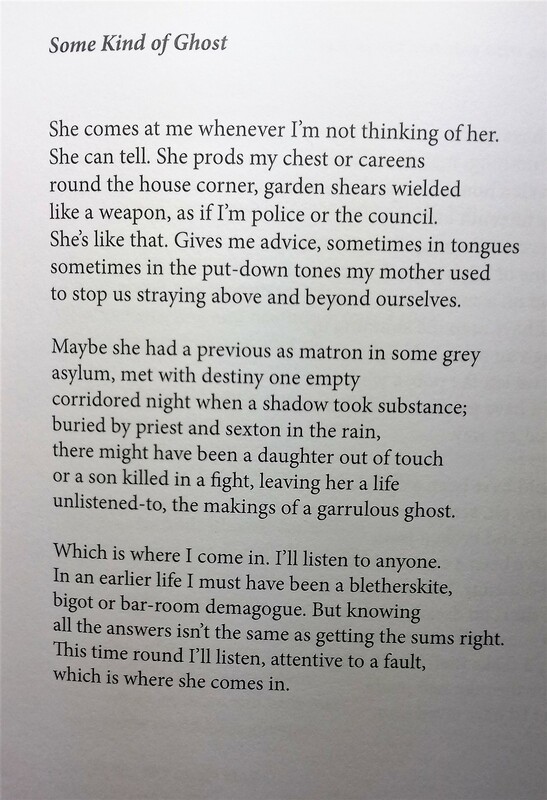 On the same page is a review of Rory Waterman’s ‘Sarajevo Roses’, (Carcanet 2017). Unlike quite a few contemporary poets, many of Rory’s poems look outwards as well as inwards – to Palma, Sarajevo, Normandy, Reykjavik, Basilicata and Balmoral- and in poems of personal experience and observation, to aspects of European history that serve as both memorials and warnings. I was also impressed by John Challis’s ‘The Black Cab‘, (also from Poetry Saltzburg). It is an atmospheric, mysterious, moving, subtle and adroit pamphlet of poems that pays unsentimental tribute to the lives of the poet’s ancestors. I met the poet and playwright Caroline Bird on a train leaving Nottingham one evening. We had both been reading (at seperate venues) and she kindly agreed to swap books. 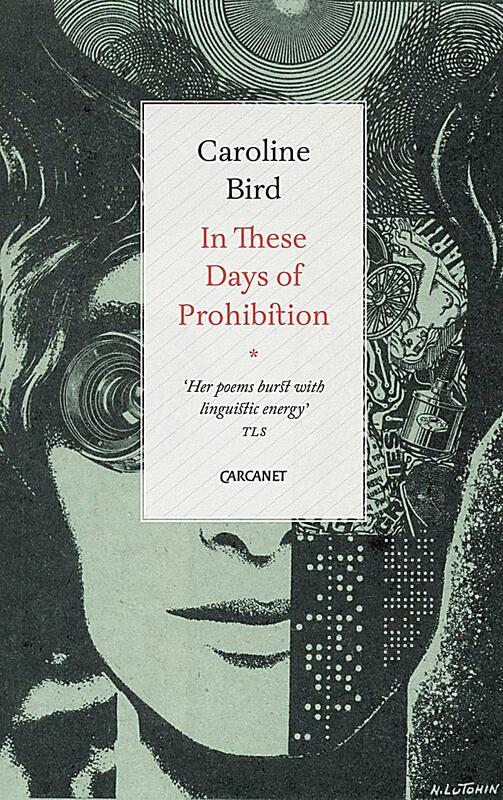 I was absolutely blown away by ‘In These Days of Prohibition’ (Carcanet 2017) . As a theatre reviewer might write, it made me laugh and it made me cry. You can read one of the poems from the collection here and listen to Caroline talking insightfully for a couple of minuets about poetry as a disguise here . Caroline’s poem ‘Beatification’ helped trigger my developing interest in prose poetry. I very much enjoyed Moniza Alvi’s elegant ‘Blackbird, Bye Bye’ (Bloodaxe, 2018). Zaffar Kunial’s ‘Us’ from Faber and Faber is, as expected, an outstanding debut. Here is ‘Fielder’ , . Zaffar is a poet who, in his meticulous care for and understanding of the depth of meaning that can accompany a single word, seems a worthy successor and heir to Seamus Heaney. 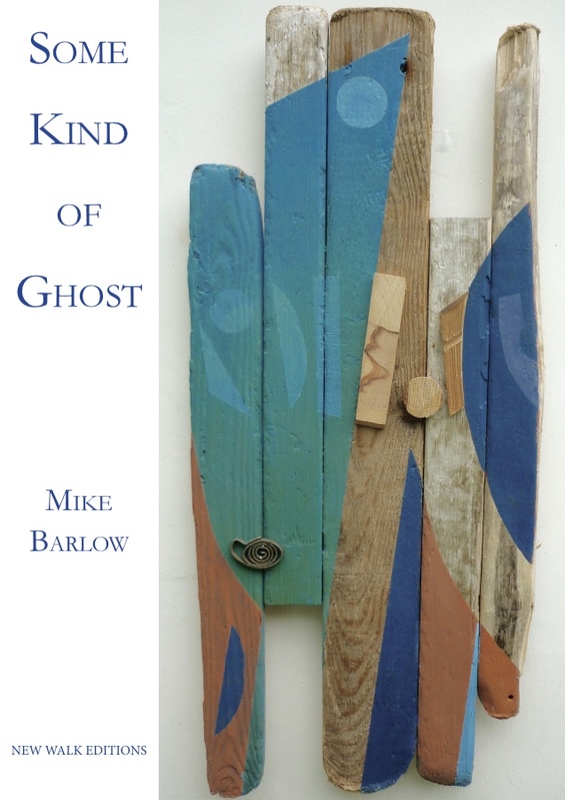 Mike Barlow’s beautifully produced pamphlet ‘Some Kind of Ghost’ (New Walk Editions, 2018) is excellent and highly recommended. Here is the title poem. Good post. Love that Some Kind of Ghost and its twists on not being listened to/ listened to.